That's my response to the question "Does the Siri outage reveal its success?" posed by Darrell Etherington at GigaOM today. Etherington's post will be one of many Apple apologies that you'll read, following Siri's collapse yesterday. There are conflicting reports about timing, but five to six hours is fairly consistent. I expect the typical fanboy comments to this post -- like those yesterday to my "Why can't Apple get iPhone's design right?" -- accusing of linkbaiting and being an Apple hater. Not so. In the Apple crowd, no one can hear you scream because they're all shouting you down. Etherington has a Master's Degree in creative writing and puts his talents to good use, contending that Apple might "want to reflect on this after the fact and pat itself on the back". This is where I spit up coffee while reading his Siri outage apology. Hopefully Apple learned a valuable lesson about managing a large-scale, persistent data service managed from its own server facility, and this will never happen again. But the extent of the outcry as the outage wore on, as well as the attempts Friday to follow-up and try to get to the bottom of what exactly happened show that Siri’s effect on the mobile landscape is not insignificant. Siri is a new iPhone feature/service for Apple, and one that requires cloud connectivity to answer the many questions people will ask. "Learn a valuable lesson?" What? Apple failed to learn the lesson about managing data centers when MobileMe collapsed during its launch nearly three-and-a-half years ago. That's no excuse for Siri's outage, nor is comparing to the recent, longer BlackBerry service outage (which he does). I posted about the Apple apology blog to Google+ before writing this response. Tom Paladino astutely sums up Etherington's response: "The article was asking: has Siri become ubiquitous so quickly that it's failure in up-time (and subsequent outcry) indicate that the overall service is a success?" I understand it all too well. John Berger responds to Paladino: "It indicates no such thing. All that it says is that they hired competent system admins who were able to identify, troubleshoot, and fix the problem in a relatively short amount of time. It has zero to do with the 'success' of Siri". Let's be generous and assume that Apple has sold 10 million iPhone 4Ses already and that all 10 million devices are located in areas where they have data access to Siri services and users can afford to pay data access fees. That's ubiquitous? Hardly, in a global market where there are 5.6 billion mobile subscribers. Nor is the number of iPhone 4Ses sold likely that high or the number of Siri users anywhere close to that number. What? Apple can't handle a few million users in the cloud? Etherington makes too much of Siri's success as justification for a service that should fail never. My colleague Ed Oswald upgraded to iPhone 4S, mainly because of Siri. I know other people who did the same. 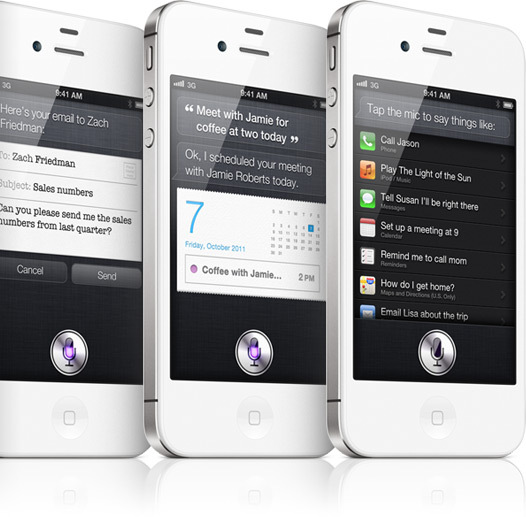 More importantly, Siri is Apple's primary advertising push for iPhone 4S. If for no other reason than marketing, the service shouldn't fail. Not now, especially. First impressions are everything. As more evidence the outage shows Siri's success, Etherington writes: "The outcry about Siri’s downtime reminds me of the web-wide groans that go up every time the Twitter fail whale makes one of its visits, or when Tumblr takes a tumble". Paladino offers better response than I could at Google+: "The outcry about the outage shows a lot of people were quite upset about it similar to when Twitter fails or when BlackBerry goes down. Do these represent a large enough pool to make the service ubiquitous? I don't think so yet". Exactly my point, and more. Even if a service is hugely popular, no outage can be excused by popularity. What? You think the BlackBerry users cowing for their service back would have accepted that excuse -- BB is so popular the service crashed? Did AT&T subscribers bitching about dropped calls accept iPhone's popularity as excuse. Hell, no. There's a broader issue and lesson to be learned from it: How much should mobile devices depend on cloud services for key functionality. "Given the state of data services in the US right now, I don't think a service like Siri is ready for prime-time" Paladino asserts. "Nor do I think ChromeOS was a good idea without offline capabilities. The fact that Siri needs a data connection to do local tasks like play a song or schedule an appointment is the big fail in my eyes".